? Check this out.? The largest African Nightcrawler on Earth.? African Nightcrawlers will be back in Spring. Shipping has shut down for the Winter. We appreciate your patience and look forward to resume shipping our ANC's when Spring returns. Please note that the African Nightcrawlers are shipped every Monday only unless it is a postal holiday. The worms are shipped via USPS Priority Mail (2-3 days delivery); therefore, please provide a shipping address where you are able to accept packages via the post office. Grow Your Own African Night crawlers for bait, composting or as a feeder for fish and pets. The African Night Crawler is big and interesting.? The scientific name for African Nightcrawlers is Eudrillus Eugeniae. ? What do African Nightcrawlers need? 1.? Warmth.? They must be kept indoors in the winter.? If you can keep them at temps above 60 degrees you will have happy and healthy worms.? African Night crawlers are tropical worms so the warmer the better.? Please them outside in summer in bins and then bring inside in late summer. 2.? Keep out of rain.? The African Night crawler will crawl off if kept in the rain.? In summer you can place them outside as long as the bin has a cover or is in a covered area. Why keep African Nightcrawlers if they need heat and crawl when it rains? Well, the answer is that they grow very large.? 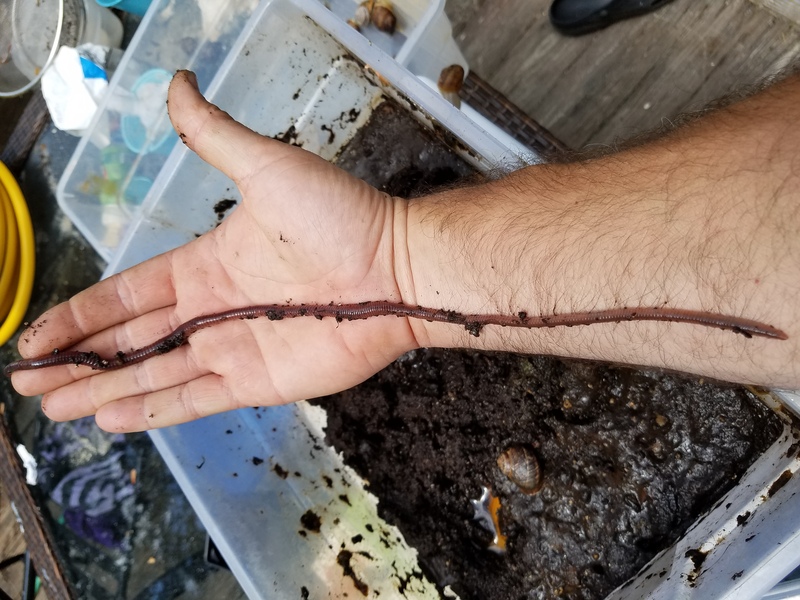 8 inch worms is very possible.? I don't grow them for that reason though. I love African Night crawlers because they create a large volume of castings.? Their large size and voracious appetite help create a ton of worm castings.? Those worm castings are like gold to organic gardeners. ? 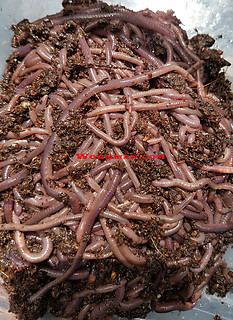 If you want large, active worms for fishing and large amounts of nutrient rich castings then try a bin of African Nightcrawlers.? You won't be sorry. Important Shipping Information for African Night Crawlers.